Welcome to the Indiana Society for Healthcare Risk Management website. ISHRM continues the drive to advance the development and role of healthcare risk managers in Indiana. ISHRM provides a platform for its members to enjoy educational conferences, the exchanging of ideas, and support of the healthcare community. ISHRM is an affiliate of the American Society for Healthcare Risk Management. If you are not a current member, we would love for you to become a member of this growing organization. An application for membership can be found under the membership link. Please check out our educational conferences, which occur three times a year. In addition, we are always looking for interesting and informative topics for these conferences, if you have an idea or are interested in speaking, please let the ISHRM Board know. We look forward to spending some time with you as you browse our site. Please take a moment to explore all that we have to offer. The Indiana Society for Healthcare Risk Management (ISHRM) was organized to advance the development and role of the professional practice of healthcare risk management. 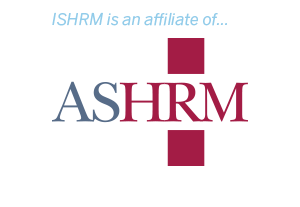 ISHRM is governed by a board of directors in accordance with the Bylaws of the Society. Members of the board are elected by and from the Society’s membership. Conducting educational programs and activities to strengthen and develop healthcare risk management and patient safety programs. Providing a forum for the exchanging ideas and best practices. Developing professional relationships among members in order to facilitate free exchange of information and solutions of mutual concerns. Providing a forum on health-care risk management issues and explaining the impact of these issues to other appropriate parties. Promoting the professional development of its members. To support and encourage the national society (American Society for Healthcare Risk Management) in its endeavors to improve our profession. The society is organized exclusively for the advancement of healthcare risk management and patient safety as a non-profit association as described by Section 501(c)(6). It shall be so conducted that no part of its income and earnings shall inure benefit of any member, director, or other individual. Click on the link below to view a current copy of the ISHRM bylaws. The Board of Directors of the Indiana Society for Healthcare Risk Management appreciate the generosity of all our sponsors, and would like to invite the membership of ISHRM to make their appreciation known to this year’s sponsors. The generosity of these organizations significantly supports ISHRM’s educational offerings. If your organization is interested in becoming a sponsor, please direct your inquiries to any board member.